Several years ago, a friend gave me a jar of chocolate and tonka salt from a Viennese outfit called Zum Schwarzen Kameel. It’s a delicatessen and a culinary complex famous for its unique interpretation of classical Austrian specialties. 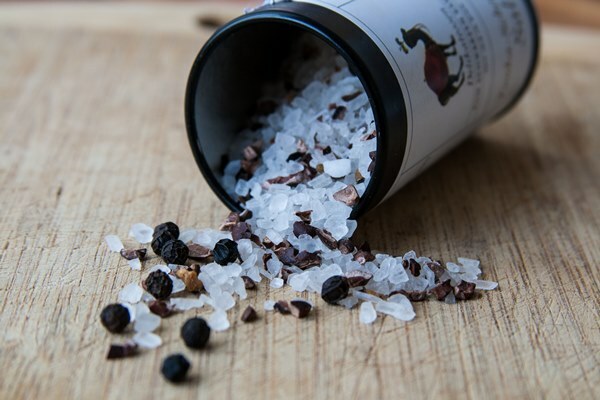 The salt was a mix of coarse salt crystals, black pepper, pieces of cacao beans and tonka. Only a small quantity of the latter was present, but its cherry-almond scent made the salt a heady, fragrant mixture. I’ve used it on grilled meat and fish, but it shone best on winter vegetables like cabbage, turnips, swedes, potatoes, and parsnips. I’ve since made my own version, using equal amounts of black pepper and cacao beans and a smidgen of tonka shavings for perfume. The recipe is at the end of the article. The reason I was stingy with tonka bean in my blend is because it’s a potent ingredient. The scent of toasted almonds, amarena cherries, sun-warmed hay and vanilla custard lingers well, and tonka bean’s is one of the most luscious and seductive aromas in a perfumer’s palette. It was also responsible for a revolution in modern perfumery. How could something smell salty? It’s true that salt has its own rather mild scent, and depending on its processing and provenance, it ranges from bitter and iodine to flinty and flowery. However, perfumery is about creating an illusion, and many perfumers are masters at making us think that we smell salt. My teacher Sophia Grojsman used to play tricks on me by giving me accords to smell and then laugh seeing me lick my lips. Some of her combinations were so salty that I could almost taste the salt crystals. 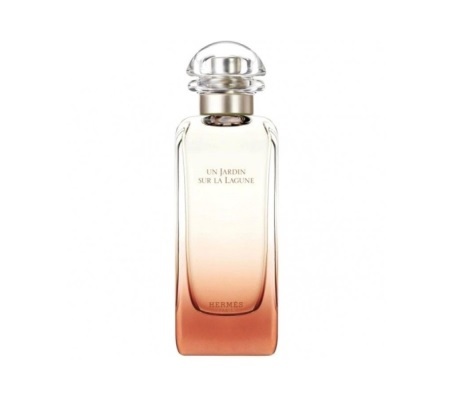 More typically, however, perfumers approach salty accords by relying on marine effects, as does perfumer Christine Nagel in Hermès Un Jardin sur la Lagune. Of course, should one search for salt in perfume, one can do no better than to explore the whole Hermès collection. Eau des Merveilles is one of the best salted ambers. Un Jardin sur le Nil salts green mangoes. Voyage d’Hermès starts pickling bergamot and leaves a salt trail well into its drydown. Hermès Un Jardin sur la Lagune is very much in the same tradition. It’s a cologne based on citrusy flowers and finished with a briny accord. The place is Venice, the flowers are magnolia and Madonna lilies, the effect is salt and sunlight. Happy Nowruz! نوروز مبارک ! Nowruz is also called the Persian New Year, and it’s celebrated on the spring equinox, usually on March 20 or 21 in the Western calendar. This year, it took place on Wednesday March 20, 2019 in New York and Brussels, and on Thursday March 21 in Tehran. It’s a holiday that cuts across religious and geographical divides, and it’s celebrated in many countries around the world, especially the ones that had a link with ancient Persia. Along with Easter, it’s my favorite holiday, because it’s about rejuvenation, light and spring. I’ve already written about the tradition of haft seen, a special spread of symbolic items that have deep significance on Nowruz. As I’ve mentioned, a book of Hafez’s poetry is an important part of haft seen. In the same spirit, I’ve selected a poem to share with you. I hope that the new year will be filled with beauty, happiness and inspiration for all. In time for Nowruz, which falls on March 20 or 21 in 2019, depending on where in the world you are, I wanted to share with you my favorite Persian floral delights. Flowers don’t only bloom in Persian gardens and adorn Qajar art and textiles, they’re also used in cuisine. Rosewater adds a bright note to savory and sweet dishes. Willow flowers flavor sugar and candy. Orange blossom accents tea blends. As good as flowers smell, their flavors are equally beautiful. So I took a walk through my local Iranian store and came home with a whole treasure trove of floral delicacies.